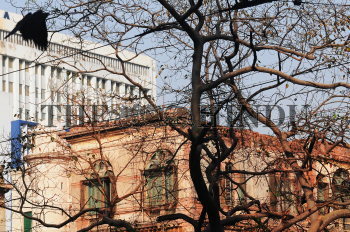 Caption : Kolkata: The vanishing trend of green and the old architecture in Kolkata have been replacing by the modern jungle of high-rise buildings. The city needs a immidiate solution to curb its pollution level, which has already crossed the alraming level. Photo: Arunangsu Roy Chowdhury March 06, 2009.